The Client….that we all are! I have always loved meeting people. Interior designers have an edge above the rest of the people when it comes to understanding the lifestyle of a client, as its extremely vital for a designer to know her client’s tastes, habits, paranoia, apprehensions, necessities, aesthetic sense, working hours, cooking style, interests and so on…..! By the time we complete the first level of discussion with the client and her family, I would have figured out their interests, needs, lifestyle, sleeping hours, cooking style etc; Its very important for an interior designer to first make her clients comfortable so that the first level discussion runs smoothly! Well….things are changing for the better in the Interiors industry in India! The beauty industry flourished in the late 90’s when awareness and the need to be well groomed was marketed intelligently ! I think, this is the era for aesthetics! I feel elated to see more and more people coming to Tiah to groom their dream home. ( Yes , we do make money in the process!) But more than money, I am happy because a lot of people have realised what a beautifully, ergonomically, practically designed home can do to their lives. Again….so why this post? We get different types of clients in our showroom….some seem to be lost, some are willing to explore, some just want to wail away your time!! There are these typical clients who are ready to turn into interior designers ( due to the scores of research they would have done , since the day they booked their apartment….and the builder seems to be in no hurry to complete the work;) ) This type of client is the most challenging of the lot. Well , we also have these sane clients who come with an open mind to explore and let us do our duty. Phew….now this post is actually for all those people who want a decent space to be designed and executed. Its for those who want guidance as to what to look for and how to prepare yourself before meeting your interior designer. How to prepare yourself before you meet your designer? ( A piece of advise from the wise souls of TIAH. Your home is yours and your needs and life style will be unique and different from your friends’. So, you should seriously consider asking yourself about your needs rather than copying a colleague or friends tastes. Its easy. Believe (in) us! 1. How do you visualise your home,once its furnished? 3. Are you that Mr. Perfect with that typical OCD for cleanliness? 4. Do you have a budget and if so, are you flexible with the budget? 5. Have you done a market survey as to how much people usually spend for interiors? Yes, people usually come with a budget of 5 lakhs to 50 lakhs. It depends a lot on what you want and what’s the area that has to be furnished. 6. Have you searched for google images? I know you would have! Do save the ones that you loved the most and bring it to us. Its lot more easier to understand your taste when we look at the pictures. We may not copy them , though! 7. Do you want a false ceiling? If so, why? 8. Are you ready to spend for a good quality work? 9. Did you read the reviews of the company that you are planning to visit? Don’t go completely by good or bad reviews, though. Use your discretion and intuition judiciously after visiting your designer. Yes, believe in your intuition! 10. What are the appropriate/ approximate sizes of wardrobes, kitchen cabinets you need, to store your precious things? To me, this is an interesting question that you have to tag mark and ask yourself. It helps you optimize space and build storage spaces as per your need and don’t overdo it. It will motivate you to let go several things that you actually don’t need at all. And in turn save cost by not over building. Before signing off….I want you to ponder over the question….what would a beautifully designed home do to your heart!! I recollect the beautiful red and yellow pencil case that I used to take to school as a child. It was rare! Because it came from Dubai…..my friends adored the different water bottles, erasers that cleaned the pencil written scripts without leaving a mark, the colourful dresses I wore for birthday parties….! One of the biggest change Indians have seen in the past few years is the need for a Modular Kitchen in their house. The transition from the typical dingy Indian Kitchen to the Ultra modern Kitchen has come a long way since last 25 years. God! From where have we emerged! I loved the old charm of my hometown kitchen. The layout is designed very practically for the lady of the house to move around and cook a sumptuous meal. A typical stone for grinding, a peep window through which the well could be directly accessed with a pulley and steel bucket, the firewood scattered around near the stove and the grand meal! I used to gaze through the greasy horlicks bottles which had salt, sugar, oil, tamarind, lentils etc and the puttu steamer, supposedly brass, but now black in colour due to the firewood!Those were the days…. So black were my feet…. We were content! There was enough space in the kitchen, more than sufficient space to store the essentials and utensils. Our ancestral home had a main kitchen followed by a huge work area where I remember seeing all my aunts busy ….grinding the dosa batter, grating coconuts for the chutney and curries, pounding the rice, cutting vegetables, cleaning the fish, dressing the chicken and what not! The main kitchen also had a store room where all the essentials were stored in sacks, cloth bags and huge wooden boxes. There was also a granary, but we children were never allowed to venture into that room! I wonder…why? When my dad got transferred to Chennai, we all got transferred too! So, I felt! We lived in a small apartment in Chennai. The transition was not smooth. Honestly, I felt like a bird in a cage, doesn’t matter if the cage is golden or steel. My mom managed everything skillfully. We had a very small kitchen and I remember the kitchen with a concrete counter top. We were content there too. My legs never turned black, though! I loved to shop for those cute plastic shelves/ stands that we bought from T Nagar, to organise the lentils,spices etc. The need to organise our kitchen had begun thenceforth! Once I accompanied my aunt to her friends’ flat, where I saw a beautifully organised kitchen with tiles on the wall and a tiled counter top. I fell in love with the kitchen! I decided then and there, that this is how my kitchen would look like, when I grow up. My dad got transferred to Dubai. However, we stayed back in Chennai. He used to send pictures of the lovely flat he stayed in and once, he sent a picture of the kitchen where he cooked all those yummy dishes! I was bowled over. It was a white kitchen with some colourful tiles. I decided then and there, again…..! This is it!! This was the first ever Modular Kitchen I had seen. 33 years back. Yes. Since then, when I look back…….the change has been gradual, though slow. From traditional cudappa stones to marbles to granite to acrylic surfaces to Caesar stones……we have come a long way! Indians have thankfully realised that modular kitchens are the need of the hour as the lives have become faster, easier and as homes are shrinking in size. Now when we look at our kitchen, I just see a 11 ft by 9 feet space , within which, I have to grind, roast, dress, clean,wash, cut, cook, store and may be….eat! With spaces as small as 6 ft by 7 ft, designing a kitchen is the biggest challenge for most designers. Indian cooking remains the same, except for the few appliances that has made our lives easier. When I see a floor plan with a very compact kitchen, I know that we have got some real challenging work in hand. Modular kitchens are the need of the hour. Its’ made our lives simpler for sure. Celebrating the kitchens of today………and Signing off….with a promise that I would dig deeper into the history of modular kitchens or….lets put it this way, the Making of Modular Kitchens for Indian homes! I am in two minds, whether to name this blog “chip out” or “cheap out”. I leave it to you to decide at the end. Chip out in the context of woodwork is the phenomenon of the edges of laminate becoming irregular or jagged during a cutting operation. This is typical of furniture made by carpenters using hand tools, irrespective of which state they come from (Rajasthan or others). The problem is with process and not with the person. Carpenters usually cut a laminate using a handheld saw (separately or after sticking two of them to both sides of a board such as plywood or MDF). When the teeth of the saw comes out of the laminate, some material along the edge gets peeled off in an irregular manner. This is what is known as chip out. In case the cutting is done after sandwiching a board between two laminates, the top laminate into which the saw teeth enter will be cut clean. However, the bottom laminate, from which the teeth exit will experience chip out (like the exit wound of a bullet). This is inevitable as long as a single blade saw is used. You need not worry, this won’t happen in our work. Wondering why ( or how )? The secret is in the process… In our cabinets, the laminates are cut after sandwiching then to a board(usually plywood). And they are not cut by hand saws, but rather in sophisticated machines. 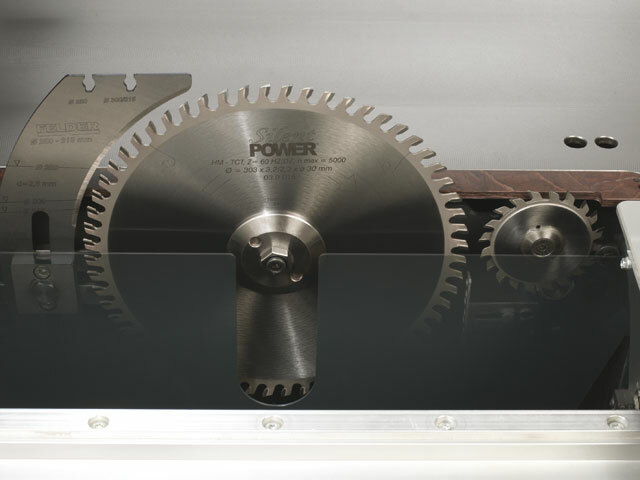 These machines have two blades, one for cutting and the another smaller one called scoring blade situated before the cutting blade to cut the laminate on the bottom side, before the cutting blades teeth exits from that surface. Since the laminate is scored our cut by another blade, the cutting blade will not create an exit wound or chip out in that laminate. We Indians have our own way at figuring out things…..! Now…… sitting on the other end of the table….well….what could I say? He’s come to us to get his house designed and executed by us and after three long hours of question/answer session, he puts forth this question! Candidly, it really pricks. And there was this other client who walked in and banged all of the shutters that we had literally put up with sweat and hard work. When my Senior designer cordially gestured that those are fitted with soft close hinges and are meant to be operated softly…..the client vigourously banged yet another shutter, turned around and told her…” I know that Madam….and that’s exactly why I’m doing this, to check if these systems work in adverse conditions. We had a hearty laugh over that….thinking about the adversity he must be facing at home! You really can’t blame him! We test drive a car, not to feel the power and luxury it gives….but to see if it can withstand the puddles and bumps on the road! We register for servicing our washing machines in the morning, they give us a 24 hour promise, but we call them….just to remind them that there’s only 15 hours/ 5 hours/ 1 hour left for the 24 hours to exhaust! The list is endless. Why go far….? Many of our clients come to us to get the interiors done because they don’t have time to get the work done themselves (they mean…. find a “Rajasthani” carpenter, literally buy all the materials, and get the work done on site). And now, after entrusting the job to us, they come to the site every single day, morning to night, to see whether everything is happening, the way it was meant! Lack of trust. Yes, let’s admit that we don’t trust anybody. We can’t trust anybody because we have had experiences, you know? Another most common question that some clients have asked us…..” Modular kitchens don’t last, do they? ” Now…now….let me explain! Exasperated, I tell them,,,Modular Kitchens, modular wardrobes are not boxes made from particle boards or MDF boards alone. We can very much make Modular Kitchens with ply too. Then, if you ask me, what is the difference between the work that our Rajasthani Carpenter does and what we do? As the name goes………….Modular means in modules….in packs or in groups. Modular Kitchens or Modular Wardrobes will have separate modules or cabinet for every single unit in your kitchen or wardrobe. Lets assume that you have a cutlery unit A, an oil pull out B, a Tall unit C, a storage unit D. Units A,B,C and D will each be made into separate boxes and then assembled on site with connectors. Each unit will not share any wall with the other units. In simple words Modular units are as simple as that! In the above images are you able to see how well organised you can convert your kitchen? The”Rajasthani Carpenter ” must have been a great artisan of the Jodhpur Gharana. He must be good at carving your doors, chairs and table legs . But if he claims, what he regularly does in most of the Indian kitchens, as Modular…….sorry to say…..that is not modular, thats merely a cheap imitation of a stylish Modular Kitchen, which the Italians have strived to build! By now you all must be wondering, why interiors for ‘Indian ‘ homes and why not Interiors for homes! Indian homes are unique in several ways …..we don’t wear sandals or shoes inside, we don’t mind sleeping in our living room floor when too many people barge in with love and decide to stay back for the night. Our cooking styles are unique and our tadka flavour brings us alive on the dining table! Imagine the 10 kg rice dabbas and the 20 kg Atta and the beautiful stainless steel thalis on which we relish our rotis, rice and veggies! Aren’t we different? It’s important to keep few things in mind and design an Indian kitchen. The other day my good old friend who is a renowned singer now, recollected that during her childhood days, all that she loved to do was sing, sing, sing! My husband , as a child was very interested in gadgets and eventually he lived through his dream to become a hardware engineer. I read a newspaper report about my classmate , who is a diamond jewellery designer and exporter now, that she developed a passion for this at a very young age!